Coaches: Justin DePietropaolo will be the teams head coaches and responsible for facilities, balls, practice, lineups, communication with parents, and communication with opposing coaches. We will also have assistant coaches for each team who will be at practices and away matches. Level of Play Eligibility/Practice Squad: The level of play is intermediate, so players should be generally be able rally over the net, keep score and serve. New team players will be subject to a tryout and/or skills test at the beginning of the season, which will focus on these factors. USTA NTRP Ratings for 14 and under and 18 and under: Previous players will now have NTRP ratings assigned to them which will determine which divisions our teams will be in. New players will have to self-rate. 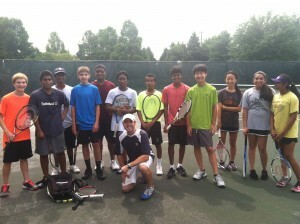 Player ratings for prevous players can be found here: https://tennislink.usta.com/TEAMTENNIS/Main/FindAJuniorRating.aspx. Please note that the 14 and under and 18 and under team will most likely be affected by this as we are are looking to form an intermediate team which means all players should be 3.4 or below. This may change if it turns out we have more advanced players signed up for the team. 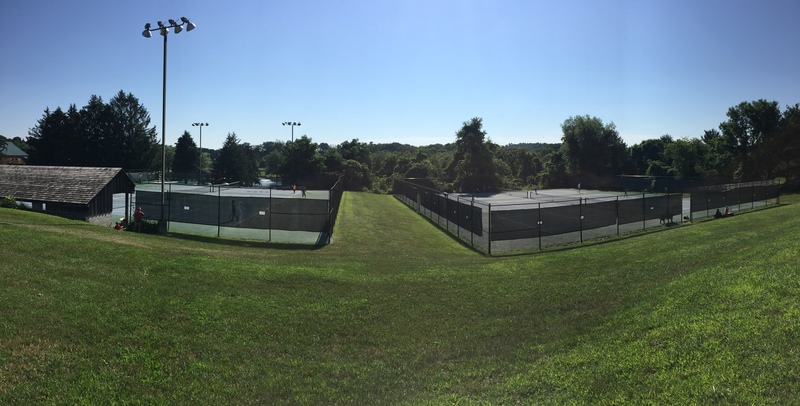 Cost: In addition to the $20 USTA Membership, the League Fee is $13, and the Team Fee is $110 for players that 1 night of practice per week. If players want an additional night of practice, it’s an extra $40. The League fee goes towards league awards and administration. The team fee is for courts, balls, practices, and an end of the year party. 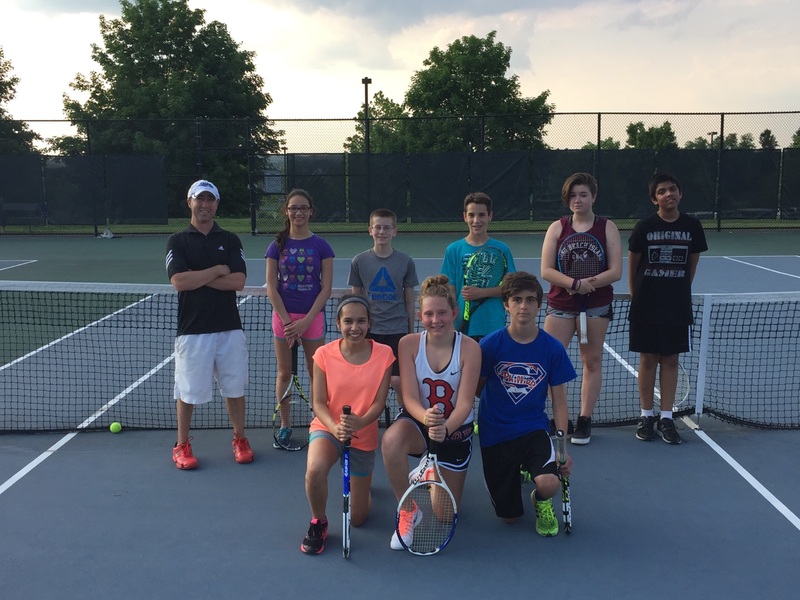 The total cost for the season would be $142 for those that are not USTA members already and attending 1 night of practice per week. Matches: There will be 6-8 matches for the season, half of which are home, and half are away. Matches will take place on Saturday afternoons for a 2 hour anywhere between 12pm and 5pm. The 10u, 12u, and 14u season will likely run from April 27th – June 15th . The 18u season will run from May 4th – June 15th . 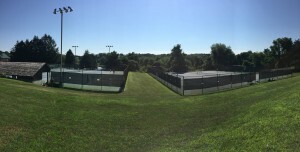 Home matches will be at Pennypacker Country Club due to the large number of courts they have there. There are spots for 4 boys and 4 girls in each and match, so while players may not play EVERY week, they will play in the majority of the matches. Uniforms: We have a variety of youth size Just Tennis Nike DriFit shirts that are available for free at a first come- first serve basis. Also, additional Just Tennis apparel can be purchased here: http://justtennis.logosoftwear.com/. We would like players to wear their uniformed shirts, but it’s not a necessity. Players/Team: Spring teams are coed, so we will take a maximum of 5 boys and 5 girls PER Team and we’re looking to do multiple teams per division. If we have more players interested in playing that slots available, the FIRST priority is those that have submitted their online interest form by the April 5th deadline. The SECOND priority is for players that have competed for our teams in the most recent season. Those that have competed in Fall 2018 will receive top priority. Equipment: 18u and 14u divisions will use yellow balls. The 12u division will use green dot balls. The 10u division will use orange balls and 60 foot courts. All players are responsible for providing their own racquets. Registration: Please Click on the Link Below to complete the first step of registration which is filling out our Interest Form. We need to know by April 5th if your player is planning on playing this upcoming season by completing Step 3 of the registration. If not in by early April, there is no guarantee that your player can be on a team.